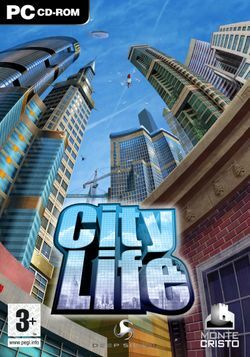 City Life form from Monte Cristo is a real time city building simulation game which is similar to SimCity series of city building strategy games. But unlike SimCity, City Life features three dimensional (3D) game engine instead of a fixed isometric view. Beside, player has to play a unique gameplay for the genre of games by having the player try to satisfy all of six different socioeconomic groups within the city, i.e. The Elites, Suits, Radical Chics, Fringe, Blue collars and Have-Nots, as an essential part of gameplay. The game can be played only in single player mode and available for Windows platform. Club Skill (dead link) reviews City Life PC games and concludes with overall rating of 7.5 out of 10 that City Life does a good job in putting a new type of gameplay element into the RTS genre, but it can’t do much else from there. The cities look great, but building them over and over never gets more fun than the first time you do it. If the developer would have added more to the game it may have been more fun and have more lastability, but these features are absent. This city life is alright, but there’s better living elsewhere.